← Wrapped Around Your Finger. all text and pictures by me. A series of colorful bottles with tags that identify them as Piña Colada or Midday Hump probably don’t sound like the healthiest drinks one could ingest. 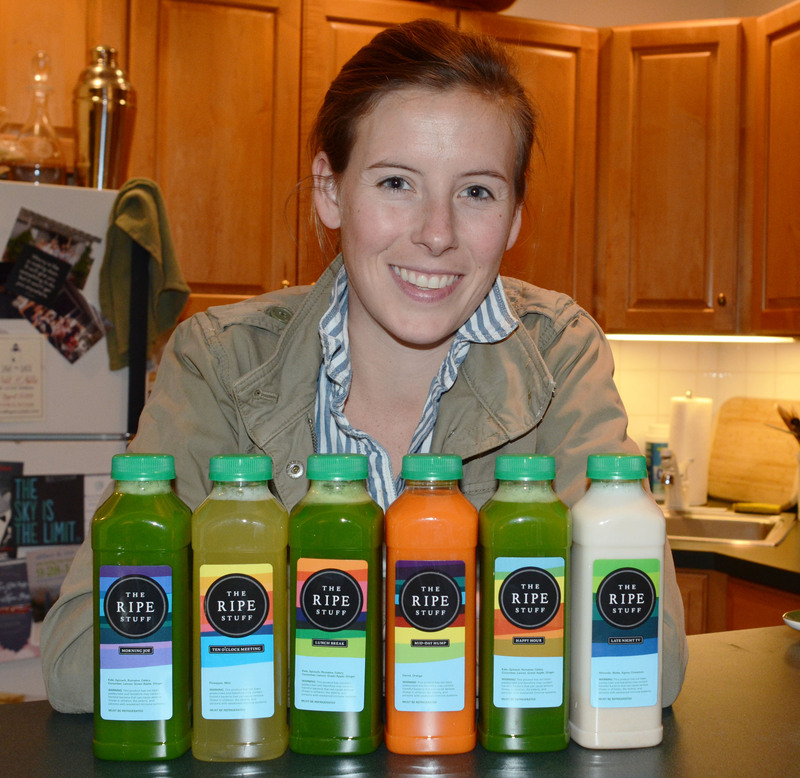 However these colorful bottles contain the healthy juices that Rebecca Ferrel, 27, makes for “The Ripe Stuff” cleanse. 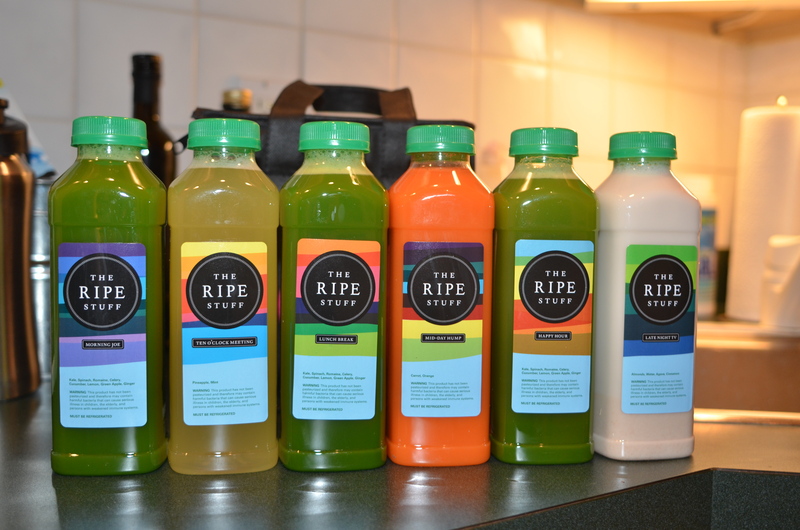 The Ripe Stuff is a Boston based and produced juice cleanse that runs its operations from a shared kitchen space in the South Shore. She offers one day, two day and three day cleanses which are all made with fruit and vegetables bought from local distributors. 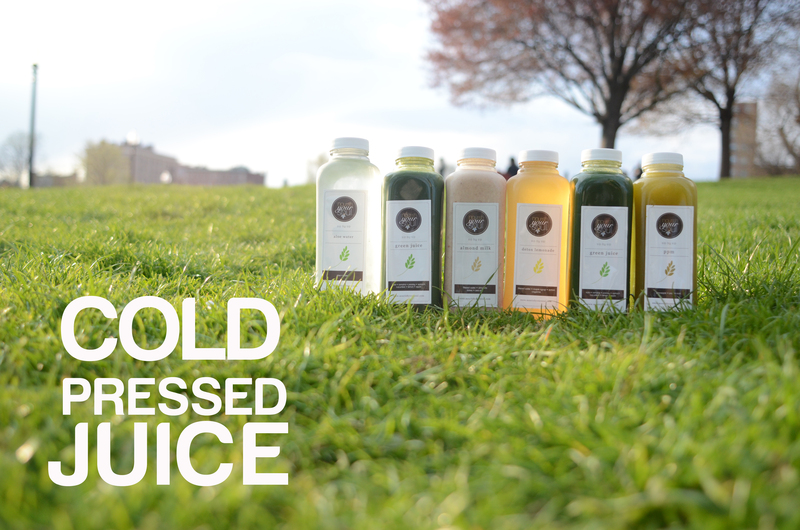 “Having lived in New York, where juicing is huge I noticed that there wasn’t anyone in Boston producing locally made juice cleanses,” said Ferrel. After suffering a major stomach related health scare, Ferrel gave up her career in an ad agency in New York City and started taking nutrition courses. She started eating organic and going on the popular juice cleanses that everyone seemed to be doing in the city, to improve her health. These juice cleanses consist of fasting for a certain period of days and drinking nothing but freshly pressed juices made with multiple fruits and vegetables. Ferrel noticed that after these cleanses her digestive system felt better because fasting gave her stomach a chance to rest. Once she came back to Boston, Ferrel started taking integrative nutrition courses. Here she learned a few juice recipes. However she didn’t want her juices to contain a lot of sugar. This is why she started experimenting with different fruits and vegetables until she achieved the flavors she currently offers. The Ripe Stuff offers its customers the option of doing multiple types of cleanses such as the “Cocktail cleanse” where the juice’s flavors are inspired by cocktails such as the White Russian or the Mojito; or the corporate cleanse, where each juice has an office-inspired name like “Morning Joe” or “Happy Hour.” Ferrel also offers a 10% discount to all of those who decide to embark on a cleansing journey with five or more co-workers. “I wanted my cleanse to be more fun which is why I chose the names that I did for my juices,” said Ferrel. She also believes that maintaining a relationship with the customer has played a really big role in the success of her company. Ferrel tries to engage as much as possible with her customers by sending them emails and encouraging feedback. The entrepreneur is also open to modifying recipes according to her customer’s preferences. In the two years that the company has been around, its success continues to increase. Ferrel said she gets about 20 orders a day, which is a large number considering this is a four-person operation. What is even more impressive is that she delivers all of these juices personally in a jeep that has coolers on the back. She doesn’t keep any juices in store because they have a shelf life of about four days and would expire before they get to their owners. However it’s only because of the fact that her business is so local that she can allow herself to use this production method. She finds it really confusing how some cleanse companies can deliver nationwide while claiming not to add preservatives to the juices. 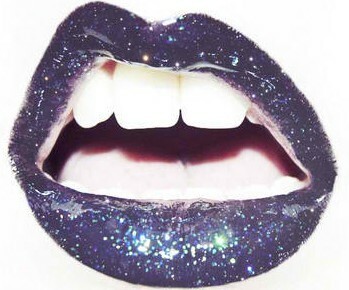 However some of her clients feel skeptical about the whole health aspect of cleansing. Bridget Little, 23, a student from Emerson College tried The Ripe Stuff because she wanted to get healthy after her spring break vacation. But the results weren’t quite what she expected. To corroborate this she explained that about 20 pounds of produce go into every day’s worth of juice. Normally you wouldn’t consume even half of that in your daily diet. She also emphasized that even though weight loss is a common side effect of juicing (some of her clients have lost up to 10 pounds while doing the cleanse) this is not the goal of a cleanse. When asked about the future she said that she would like to incorporate products other than juice cleanses into her menu. She would like to offer smoothies and healthy food selections so “The Ripe Stuff” won’t only be about cleansing but about promoting healthy eating habits. “Eventually I would like to open a brick and mortar shop,” Ferrel said. “I would continue the delivery service but a brick and mortar shop would allow my customers to make The Ripe Stuff a lifestyle rather than a sporadic thing.” Although she plans on expanding, she would like her company’s growth to be slow and controlled in order to maintain the quality of her products.